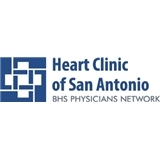 Heart Clinic of San Antonio (Comfort) - Book Appointment Online! Very professional yet not dismissive and rushed. Office staff were ALL very nice, friendly, and went out of their way to address my comfort and care! Dr. Durham took the time to listen to my concerns, and then went the extra mile to give me peace of mind. She is knowledgeable and professional. Dr. Moore exceeded my expectations. It was close to lunch hour by the time I was brought in so I thought that the visit was going to be less than 7 minutes so that the Dr.can go eat. I was very wrong. Not only was the visit more than 7 minutes, but he was very thorough. The Dr. made sure he understood what I was going through and in turn, he wanted to be sure I understood everything he was saying. I was very happy and feel very confident about my prognosis. Oh,by the way, I received a follow up call from the Dr's. assistant the next day.